You’ve seen the data: the Harvard Business School report that showcased how, on average, increasing customer retention rates by 5 percent increases profits by 25 percent to 95 percent. Much to everyone’s disappointment, traditional business publications often only have top-level coverage on tactics concerning retention and churn. You want deep-dive articles. You’ve heard the amazing feats from places like Disney World, which has a 70+ percent return rate for customers. How can you get people to love your business like that? There are no easy answers, but hopefully this round-up will put you another small step forward. It’s a collection of some of my favorite reads on loyalty, churn, and retention, with a bias toward online businesses (particularly SaaS and e-commerce). 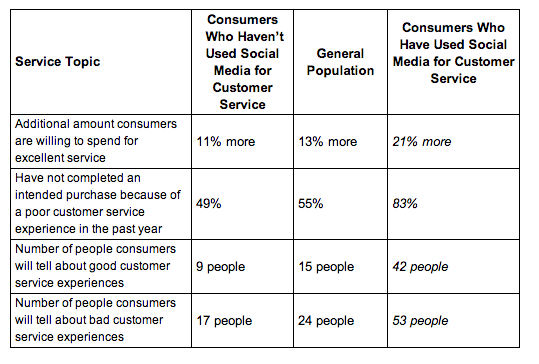 I’ve written about improving service, loyalty, and retention for about 2 years now. This resource is a beautifully designed re-cap on some of the most important advice and research we’ve gone over on the Help Scout blog. From our friends at BigDoor. Let me to assure you that Joanna Lord and Ashley Tate write some of the most insightful pieces on loyalty out there. You’ll walk away with a lot of notes. This is a bit of a different take on loyalty, which is why I’m featuring it near the top. The Buffer team, known for their transparency, publishes a stellar monthly report on what they’ve been up to behind the scenes to create and keep a massive customer base happy. 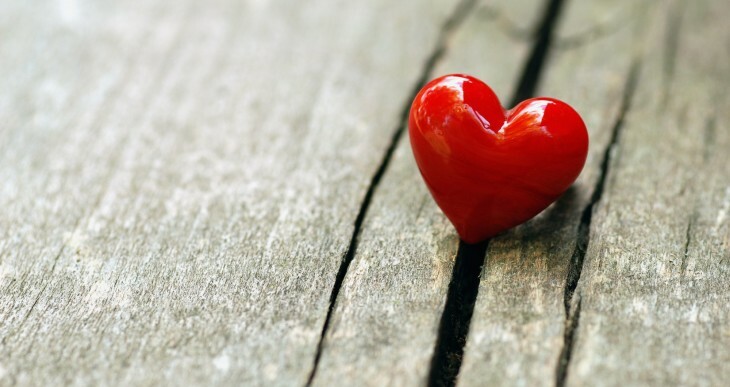 Companies who say they “love” customers but place support as a low priority are just posturing. This piece by Jack Altman explains why service is intrinsically tied to all aspects of your company. 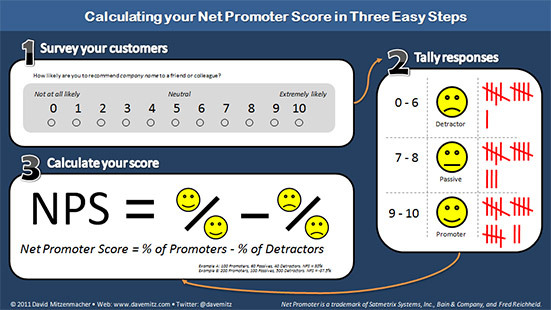 A simple title, but a wonderfully insightful article by Joanna Lord (formerly of Moz) on creating a “loyalty measurement framework” that can help you track results. The concept of a “frugal wow” is one that we love, because it places the emphasis back on the action rather than the expenditure. Bootstrapped businesses take note: goodwill can be built without deep pockets. From Buffer’s wonderful Courtney Seiter, this is the best place to start putting together a strategy for keeping tabs and saying thanks to all of your customers across multiple social networks. “While manufactured delight can lead to great press, it’s not much of a customer generation or retention strategy in practice.” Michael Redbord makes the necessary argument that the exceptional cases of service are just that: out of the ordinary. Long-term retention is built around the fundamentals: speed, accuracy, and completeness. A brave piece on why the current obsession with “growth hawking” may be ruining your company’s customer experience. The bump in user signups may be temporary with an aggressive “spam your users” strategy, but the customers you lose (and the stain on your brand) will last forever. “Being merely correct doesn’t make for happy (or even satisfied) customers on its own.” A short but very important article on delighting users; answering their questions accurately is just the price of entry. Great support identifies the proper tone that your customers expect and makes good use of it (whether it be casual or more serious). This list wouldn’t be complete without at least one case study of a company taking a look at some real support metrics. Zapier delivers in spades here; if you’re a numbers person, be prepared to take some notes (charts, charts everywhere!). Surprise! Most customers do not want to “engage” with your business. This research from HBR found that customers actually care about shared values. 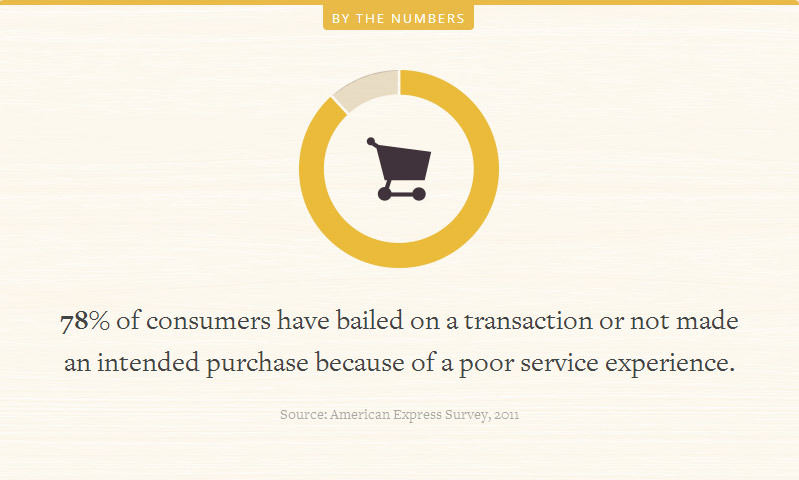 Simply giving support reps a “spending limit” to delight customers is missing the point. This piece on the Harvard Business Review details why guidelines and coaching are more important to educating service reps than hard limits and robotic scripts. “Imitation may be the highest form of flattery, but it is not innovation.” Part of a great customer experience is seeing things you’ve never seen before. Copying and pasting your experience strategy will leave you sweatin’ and stealin’ a year-and-a-half behind, as Rudyard Kipling would say. I consider this a great starting point, perhaps a “best of” for Lincoln Murphy’s wonderful blog Sixteen Ventures. Each article is concise, thoughtful, and explores the angles that matter when it comes to getting customers to stick. Samuel Hulick definitely fulfilled a huge need by providing what is (to my knowledge) the best step-by-step teardown on top companies’ techniques for onboarding new users. If you like what you see, also be sure to check out the full book. 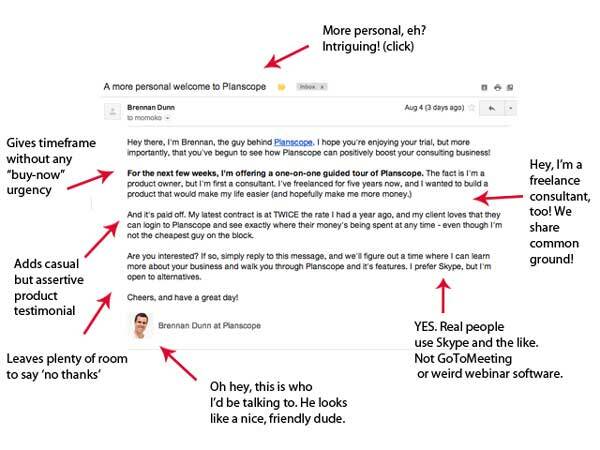 I’ve stated before how Brennan Dunn is someone who truly knows how to implement those little extras that “wow” new users, but this critique offers up a far more detailed showcase of just what he does right with his startup, Planscope. Don’t worry, it’s not so evil! Lincoln Murphy explains in this article what companies can do to improve their retention, without frustrating customers who already have their foot out the door. My penchant for and background in academic research is apparent here. I think you’ll enjoy these 15 studies on human behavior that offer up some inspiration on tactics you can use to surprise and “wow” current customers. 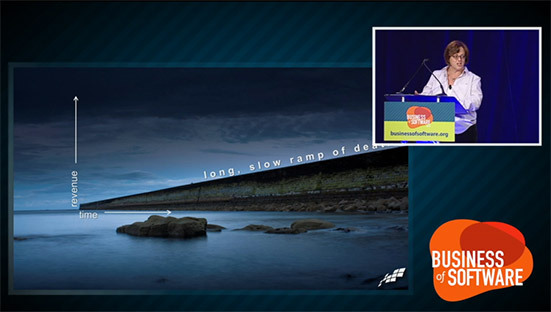 Actually a video of a presentation, still very much worth your time to get one of HubSpot’s founder’s take on creating an engaged customer base. Alex Turnbull explains why hearing cancellation reasons is necessary in improving your product, even if they hurt your ego. After all, progress can’t be made in a positive feedback echo-chamber. This is a quick, concise article that I believe highlights the concept of G.L.U.E, or giving little unexpected extras. 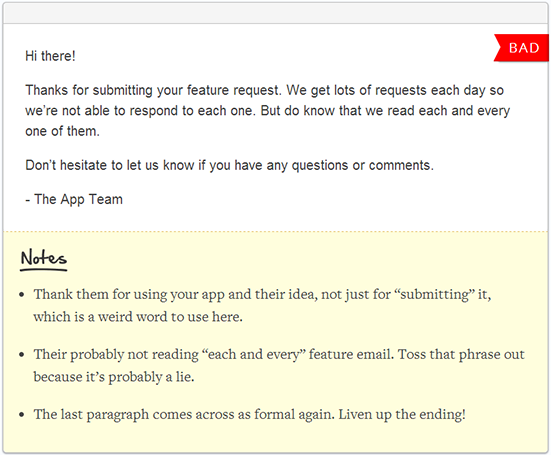 The best part: it’s written by a customer who was totally won over by this company’s exceptional intro-email. This article from Wistia’s Alyce Currier is my favorite one to recommend for helping companies get started with “help” video content. It’s such an important form of self-service, and you need to be able to do it right. 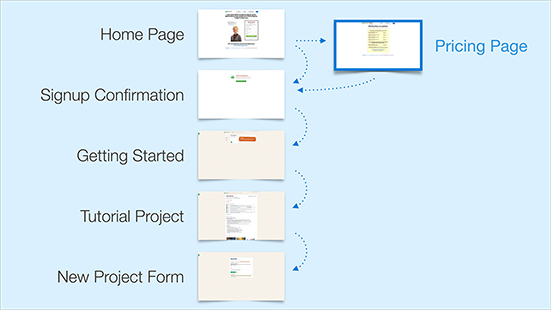 The first line says it all: “Though often under-appreciated, well-written help documentation can improve the user experience and get people back on track when they stumble in complicated workflows.” It’s the very reason we created Help Scout Docs. It’s your job to ensure that customers succeed with your product. Customer success is thus one of the most important “non-glamorous” jobs at your company, and this article offers one of the better overviews of how a smart customer success strategy increases overall happiness. The Intercom blog always offers smart thoughts on product design and customer retention. 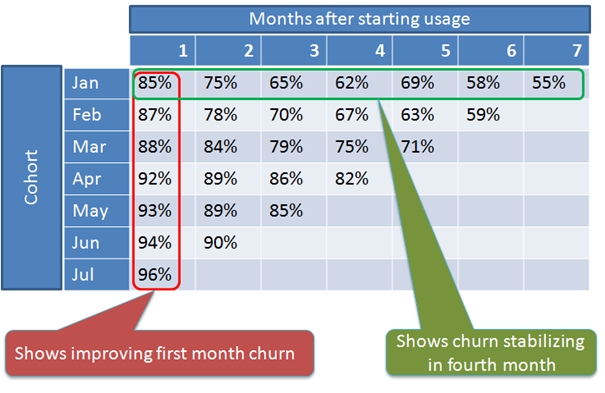 In this article, you’ll see why “activity churn” is what you should measure and how you can reengage customers who have stopped using your product. “Customer Success has a much longer, and ultimately deeper, relationship with the customer than sales or anyone else in your company.” From Jason Lemkin’s exceptional blog, you’ll get the low down on hiring and implementing a stellar customer success team. Despite my reservations with the phrase “growth hacking,” this is a smart look (with a presentation) on actionable ways SaaS companies tame an out-of-control churn rate. 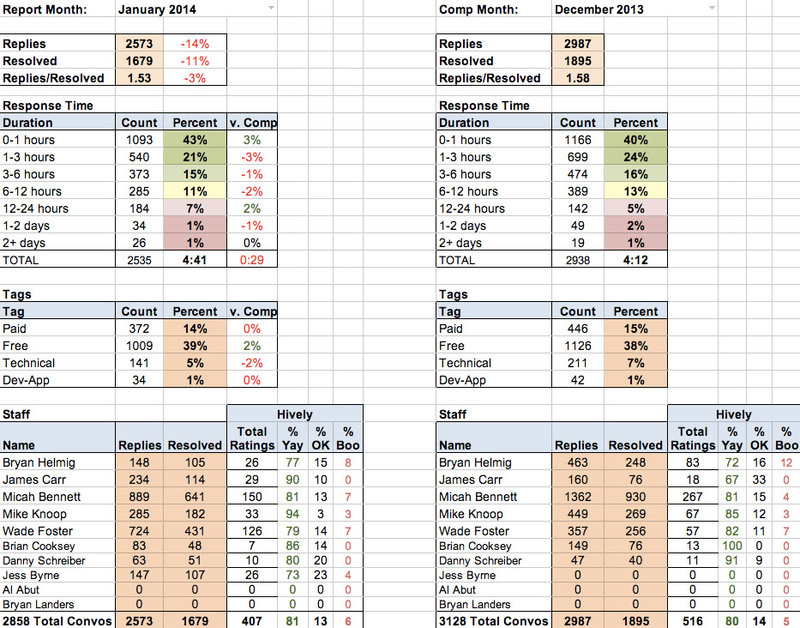 A very smart look at measuring retention through the use of cycle plots. This is important, as it’s one of the best techniques to create a clean and understandable visualization of the data you have. Faced with a worrisome 4.5 percent churn rate, this company decided to take a closer look at the metrics that mattered, and they adjusted their messaging for a big win. If you find this article valuable from a retention perspective, Zach Bulgyo’s wonderful roundup is the equivalent for customer development. You won’t need to read anything else to get started with customer development. Last but not least, be sure to check out our collection of customer retention data that puts the effectiveness of “sticky” loyalty in plain sight. It’s free to read (no opt-in) and includes all the statistics you’ll need to understand what increasing retention can do for your business. What articles, books, or resources would you add? Leave a comment!